If you are a farmer or a ranch hand, you are already well aware of the maintenance and upkeep that your farm or ranch requires. You are up before the sun and go to bed with it, working hard in between. Over the last centuries, advances in technology have led to some major advances in farm equipment that allow you to perform more work quicker, but still, involve a great deal of sweat equity. With all of the tasks and chores to complete we, at Wholesale Direct Carports, understand that you don’t need the additional hassle of worrying about your buildings holding up. That is why we build custom metal barns to meet all of your livestock and farm equipment needs. 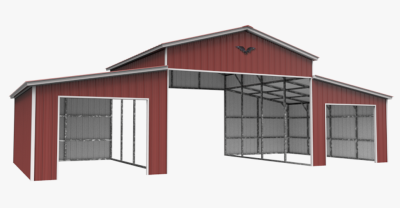 Here, we will discuss a few ways we think metal horse barns are an upgrade for your whole ranch. Gone are the days of rickety wooden horse barns that require regular maintenance and repainting. Wood barns are subject to mold, wood rot, bug infestation, and horse cribbing — a problem habit, that once formed is almost impossible to break. Because metal barns are constructed from galvanized steel, their lifespans are much longer than any other barn constructed from a different material — easily 30 to 50 years. Once your barn has served its purpose and is to be deconstructed — which won’t be in your lifetime — it is fully recyclable. Any horse owner knows that one behavior a horse may start to display is cribbing — when the horse grasps a stable object with its teeth, usually a fence post or stable wall, pull back while arching its back, and gasps in air. Many believe that it is done to relieve boredom or frustration or because the horse is attempting to relieve gastric upset. However, this behavior can cause gastric ulcers and may be damaging to the horse’s teeth, not to mention the object they bite! When the stable is made of galvanized steel, it deters horses from chomping down and cribbing. One of the greatest benefits, and the reason ranchers have barns in the first place, is the protection it offers the livestock or equipment that reside inside. When your ranch is equipped with a metal barn, it provides a few additional protections that its wooden counterparts cannot. Steel structures are fire-resistant, unlike their wooden counterparts that act as fuel to any raging fire. Fires have the potential to be devastating catastrophes, especially in a barn full of livestock that is unable to escape. Most barns are not armed with smoke detectors, so many farmers don’t realize there is a problem until the whole barn is a bonfire. The potential loss of a barn fire is far greater than the structure itself. 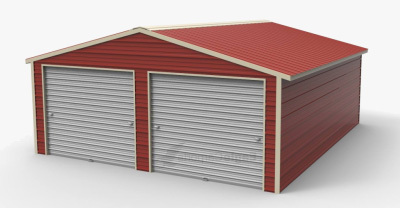 Steel buildings offer superior protection against weather than any other structure available. Wooden structures can be subject to swelling and then drying and cracking in environments of high humidity such as Georgia. Steel cannot expand and contract, which makes it ideal for more extreme environments. Steel buildings vary in the wind and weight ratings, but can typically withstand winds up to 170 miles an hour (hurricanes force) and weight ratings of up to 65 pounds per square foot (that’s a lot of snow!). Metal buildings are also able to better maintain temperatures (think of a thermos). 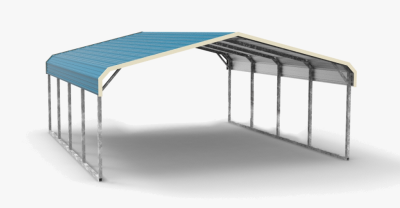 At Wholesale Direct Carports, we also offer the option of insulating your structure to help with temperature regulation. Metal buildings offer more protection from ill-meaning people and animals than other structures. Even if you leave a large portion of your barn open, the sides can easily be equipped with large rolling or smaller walk-through doors that are able to lock. When you keep smaller livestock in your metal barn, you can rest easy knowing they will not be a coyote’s meal. 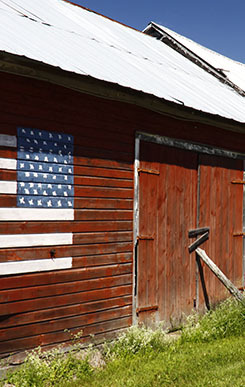 Cleaning a barn is an important chore for the health of the livestock that calls it home. The beauty of a metal building is that it can easily be sprayed down with water. Of course, you’ll still have to scoop up poop and replace old hay, but cleaning the structure itself will be a minor task. An added benefit is because steel is not a living material, it cannot be host to infectious pests and bacteria. Harmful worms and critters can easily make a home of wooden structures and make their way to your livestock’s food. Eliminate this hazard by investing in a metal barn. 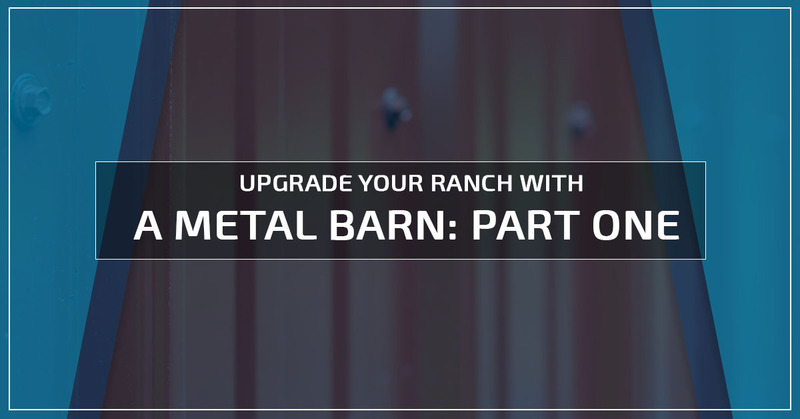 If the idea of a metal barn has piqued your interest, be sure to stay tuned for part two of this two-part series on how a metal barn is an upgrade for your ranch. Give us a call at Wholesale Direct Carports to see what we can build for you and get your free estimate.